Howdy, holiday season! To have a true Wyoming Christmas, we’ve put together a list of our favorite holiday events. Celebrated for over 25 years, this parade features illuminated floats, horse-drawn wagons, and live music. Get more information about the Christmas parade here. 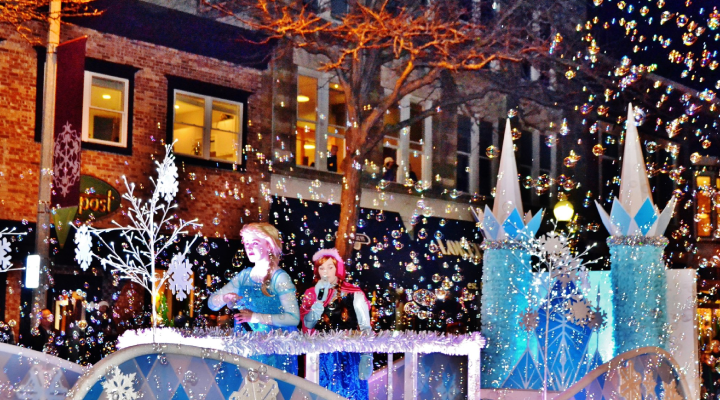 Bring the entire family to this annual parade, complete with floats, cookies and hot chocolate. Downtown is also donned with sparkling lights, guaranteed to put a smile on your face. The famous elk antler arch is brought to life by thousands of twinkling lights. Santa Claus will make an appearance, and there will be plenty of Christmas carols and cookies for all! Bundle up for this magical, Wyoming Christmas event. Learn more about the Town Square lighting here. Whether you’re visiting for the winter or you call Wyoming home, there are lots of activities to do this holiday season. Use this list and check it twice for your perfect Wyoming Christmas.